When I started this, I had uneasiness very much. I do not understand all English. Many stitcher helped me. And, I started!! The half has not ended in it yet either. 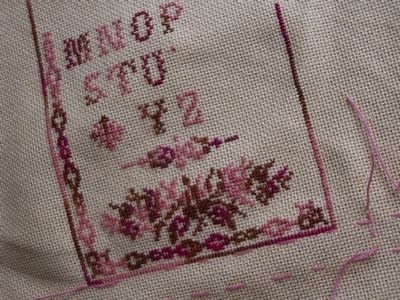 However, I am happy in time to stitch it. 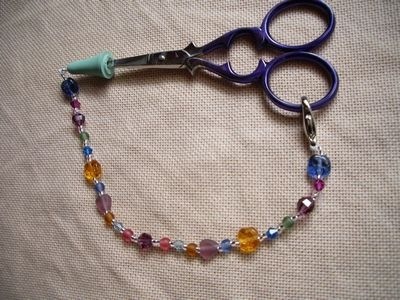 And I maked scissor fob of beads. It’s a very easy!!! !and lovely!! !